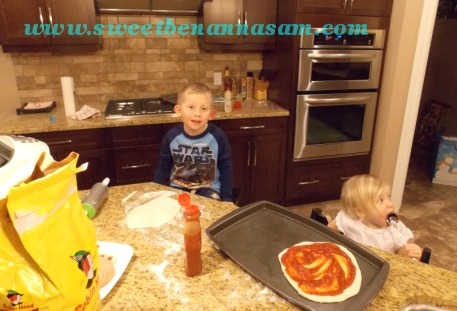 If you missed it last week – Wednesday is now Letter Worksheet day on Sweet Benanna & Sam. 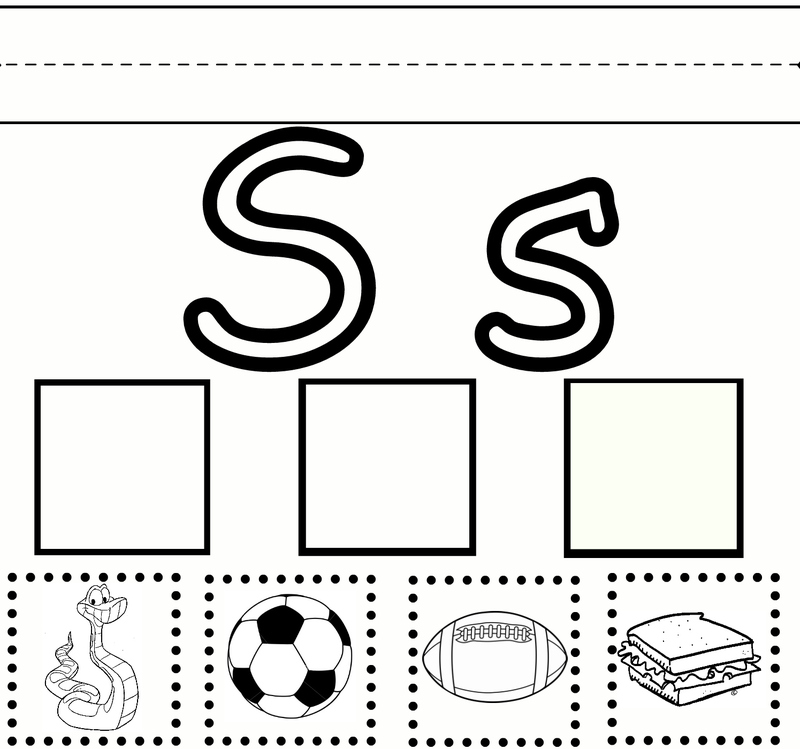 This week we are working on the letter S. Click on the picture AT THE BOTTOM of this post to be directed to the free printable. 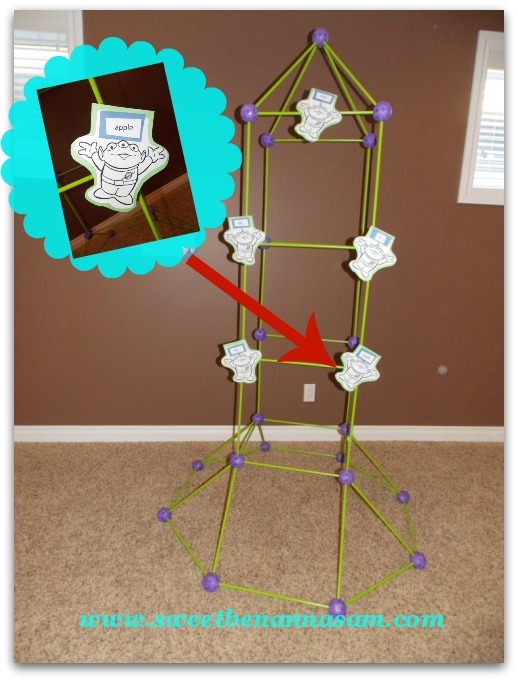 You can also find links to previous worksheets at the bottom of this post. Here is how we use our worksheet: First we talk about the letter, which one it is, what it sounds like, whether it’s a vowel or a consonant. There are four pictures at the bottom, but only three of them start with the proper letter. He has to figure out which one does not start with the correct letter, and then he crosses it off. He colors the remaining three pictures (coloring practice) and then cuts them out (cutting practice). Next he glues the pictures into each of the three boxes provided. Then he likes to color the letter as well. Next he practices writing the letter in the space at the top of the page. The space provided at the top for writing helps to give him an idea of how big to print the letter – Preschoolers typically print in GIANT size. He usually likes to print his name too. So there are several different learning applications involved in this worksheet. Thank you for stopping by today, I hope you have enjoyed this post! 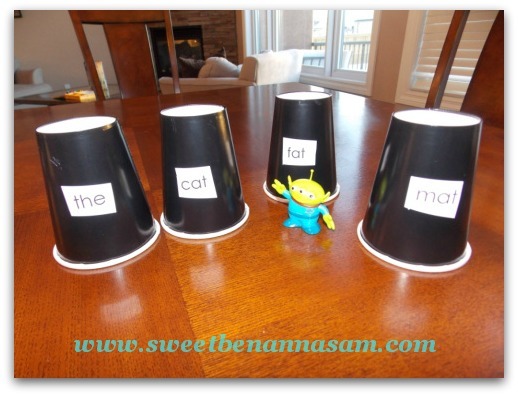 If you missed it last week – Wednesday is now Letter Worksheet day on Sweet Benanna & Sam. 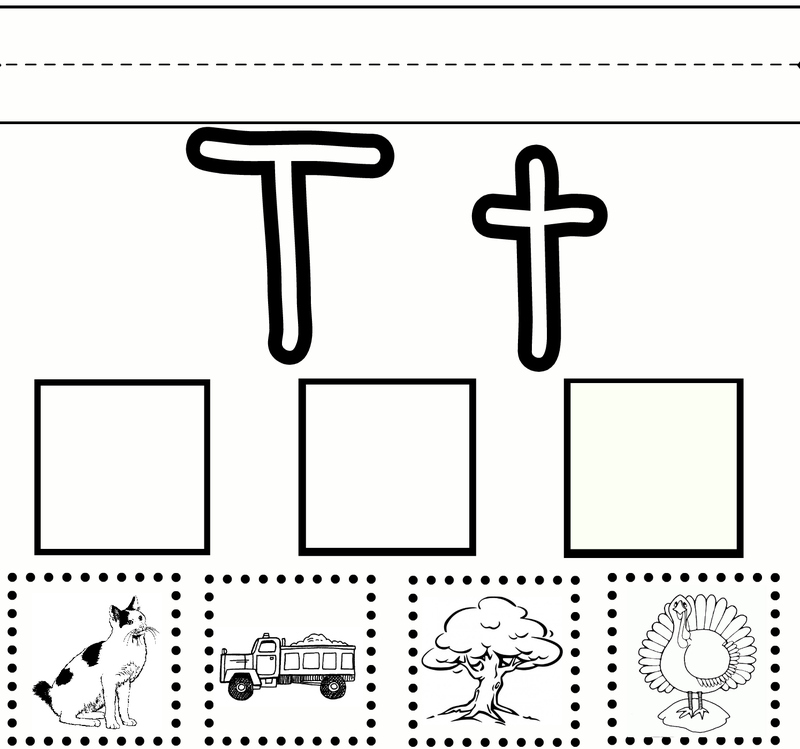 This week we are working on the letter T. Click on the picture AT THE BOTTOM of this post to be directed to the free printable. You can also find links to previous worksheets at the bottom of this post. 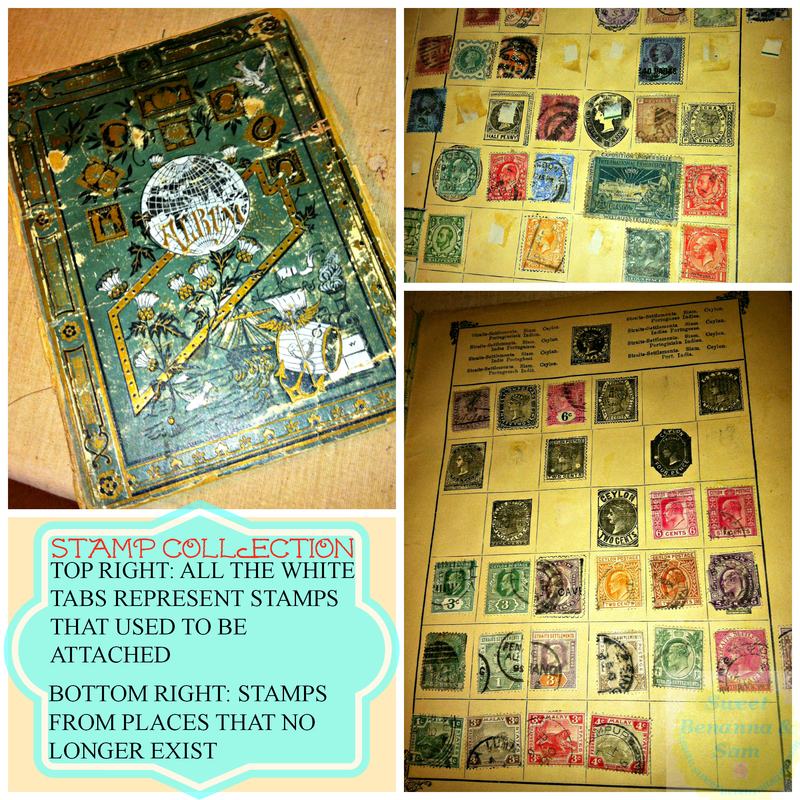 I think I was about Ten years old when my grandmother gave me this stamp book collection. The details about where it came from are a bit hazy, I believe she got it from a woman that she worked for. It has captured my imagination for years. The date written on the inside is 1899, well over one hundred years ago and the name is a bit hard to read but the first name is Mary, and the last name is Larew. I wonder who she was? Did she have lots of pen-pals to collect these stamps? The book itself looks magical and mysterious to me. Inside there are stamps from all over the world, even from places that don’t even exist anymore: The Straits Settlement (a group of British territories in South East Asia), Ceylon (now Sri Lanka), Orange Free State (currently a part of South Africa), and more. Several years ago I took my book and visited a Philatelist. I did not want to sell my book, but I did wonder what the value was (Side note: Does anyone else watch Pawn Stars and cringe when a person walks in and says “Yeah this was my great Grandpa’s prized possession, but I would like to go buy a steak dinner and do some gambling…” sheesh). As it turns out, Mary Larew did not attach them to the book correctly. Also most of the stamps are used and have some sort of post mark on them. In the eyes of the stamp collecting world they aren’t worth a whole lot, but they are still my prize. For the last 23 years my stamp book has moved from college, to apartments, to houses, everywhere with me, but I have to say that it mostly sits inside a drawer and I don’t see it a whole lot. Sadly the book just keeps getting older and in worse shape. More stamps fall out all the time, you can see in the picture all of the little white tabs where stamps used to be attached. Recently I had been thinking about ways that I could display some of the beautiful stamps in the collection and preserve them better. 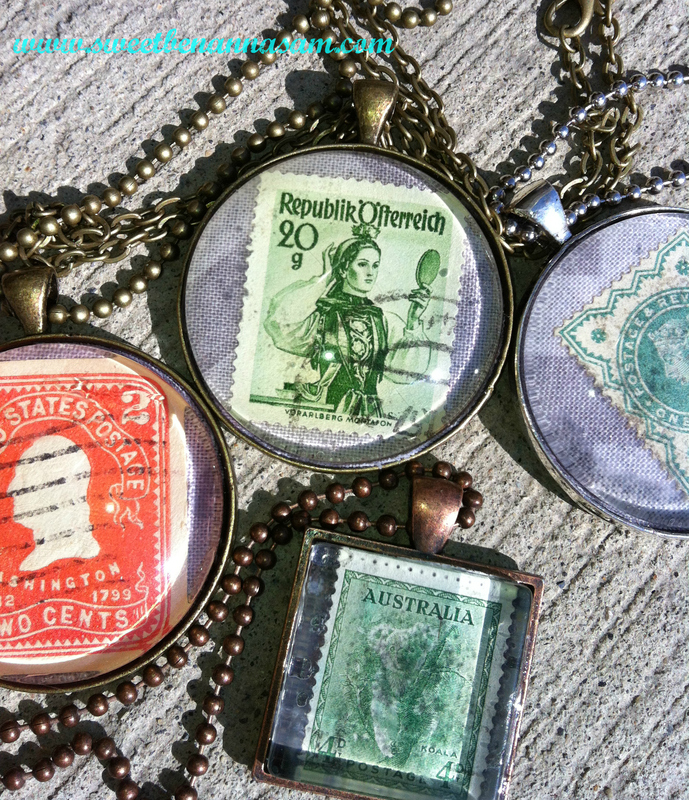 I came across this tutorial on Happy Hour Projects: Glass Map Necklaces. 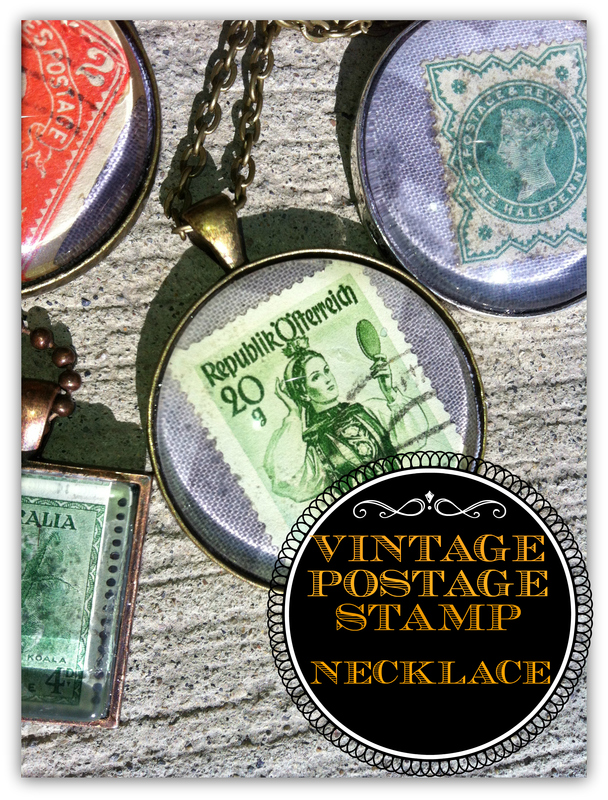 Jewelry would be the perfect way to display these stamps, they also make a beautiful keepsake. I created my necklace very similar to the Glass Map Necklace on Happy Hour Projects, so go and read her tutorial, it is very quick, and I will then tell you what I did differently. The only real difference was the contents of the necklace. Instead of using a map clipping, I used a grey chevron fabric. I traced around the glass cabochon and then cut on the inside of the line that I had traced. At this time it would be a good idea just to make sure that your fabric circle fits properly inside of the bezel. 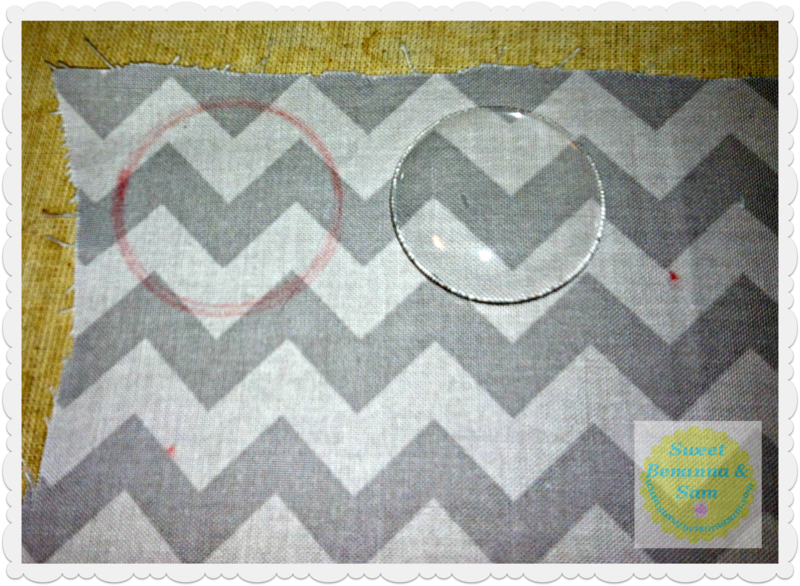 Next brush the top of your fabric circle in Mod Podge. 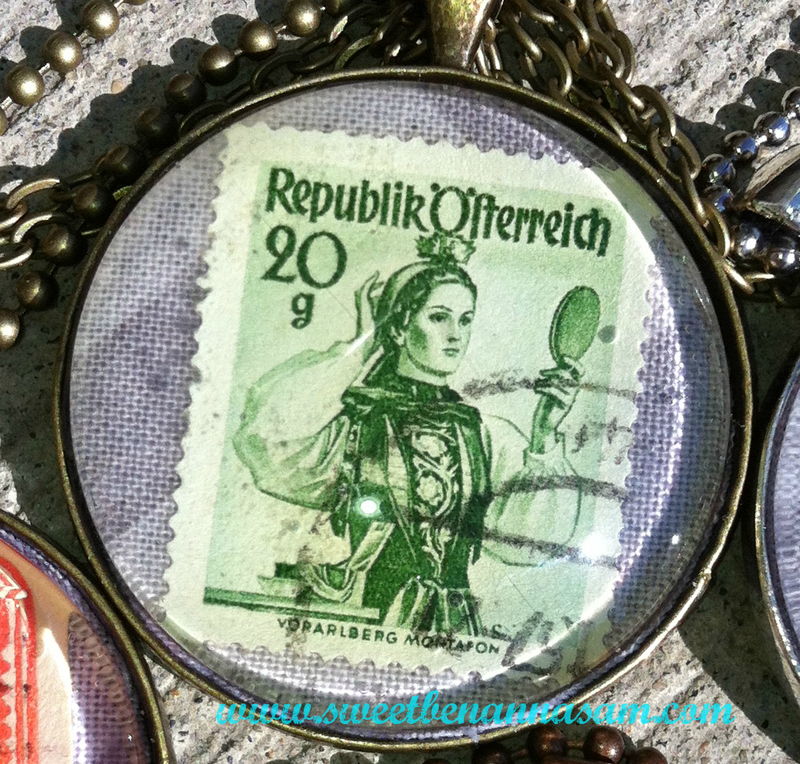 Pick out your beautiful postage stamp and place it on the fabric where you would like it to go. You can center it or have it offset, both would look great. 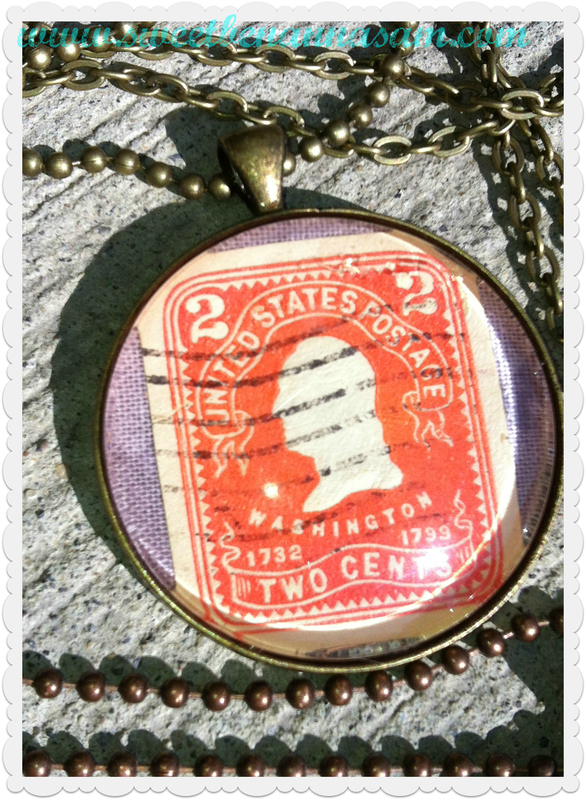 Apply some more Mod Podge to the top of your stamp and follow the rest of Adrianne’s instructions to assemble your necklace. Let’s talk about the supplies for a moment. It is very easy to find these glass necklace sets on Etsy. Have a look around, I like to click on the category “Craft Supplies” on the left hand side before starting my search. There are also lots of other types of jewelry supplies that would look beautiful using this tutorial: Keychains, Rings, Cuff Links, Earrings, Bobby Pins, and different types of necklace pendants: Here is an antique looking key pendant that looks gorgeous: Antique Keys Vintage Glass Pendant Charm. As for stamps again you can find a boat load of them on Etsy! If you do have a local stamp collecting shop you can usually find large packets of used stamps there for a fairly low cost. I found that brightly colored stamps with less postmarks do look the best. Plus the glass cabochon magnifies them, so something with a nice picture looks good too. Thank you again for stopping by, I hope you have enjoyed this post! Last Christmas I took my four year old son to a high school production of Lion, The Witch, and the Wardrobe. I wasn’t sure just how much he would get from it, or even if he would enjoy it, but he has been Narnia-obsessed ever since! I am currently reading the novel to him, and even though there are no pictures, he loves it. I am also really thankful that it is giving me the opportunity to reinforce some important biblical truths, C.S Lewis was genius to include so many parallels. Recently we moved and we had so many great boxes left over. 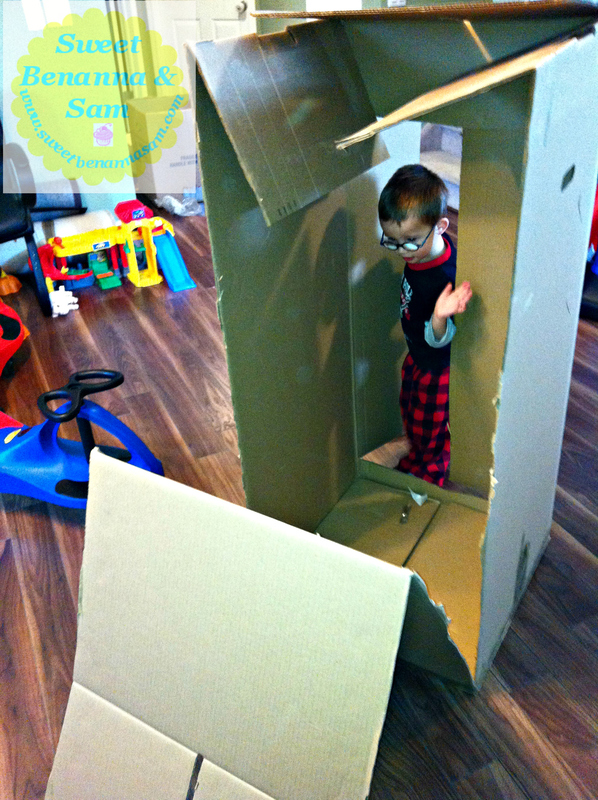 One particularly blustery cold day a few weeks ago we decided to have some fun with our boxes, and created this magical cardboard wardrobe. It turned out wonderfully, it was a great combination of a fun art/craft project followed by a lot of creative play time. 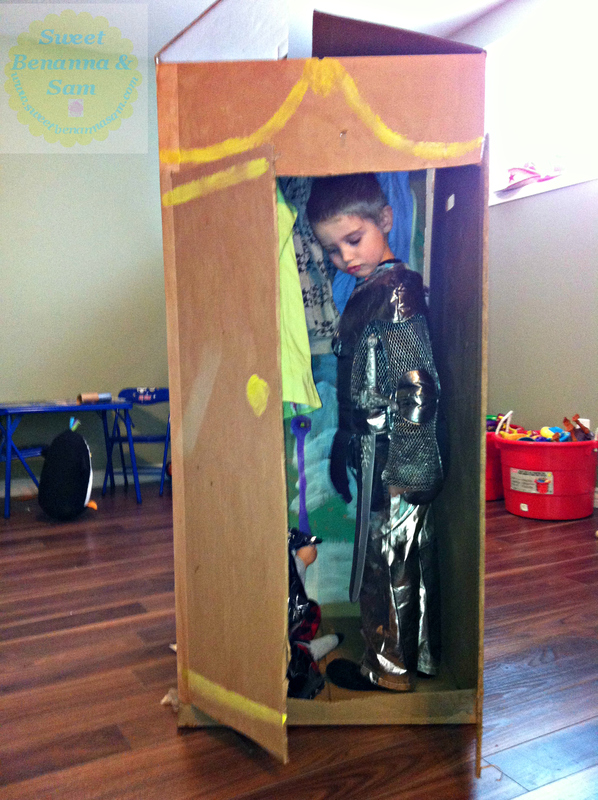 Here is a re-cap of our box wardrobe day. 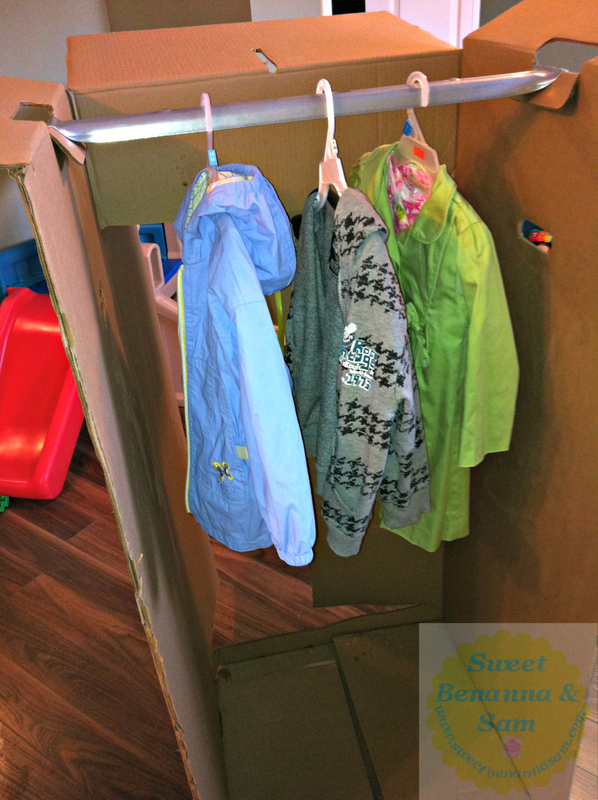 We started with one of those large wardrobe boxes, the kind that have a metal bar along the top for hanging clothes. 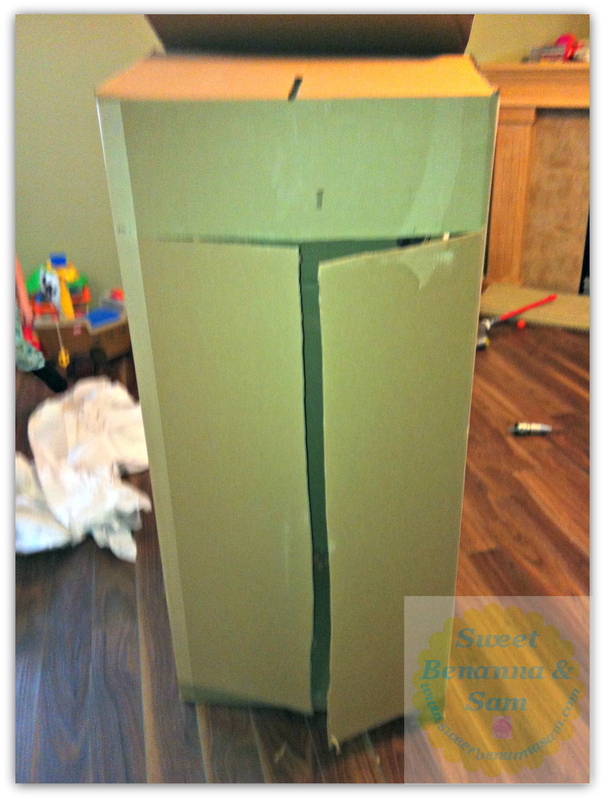 We cut the back of the box on each side down to the bottom to create a large flap. Then at the front we cut down the centre and across at the bottom and top to create the doors. I added some yellow “accents” to the front of the box to make it look a little more like a wardrobe. After the paint was dry I hung some coats along the bar and then folded up the back flap and tucked the top end back into the box so that it was standing straight up. 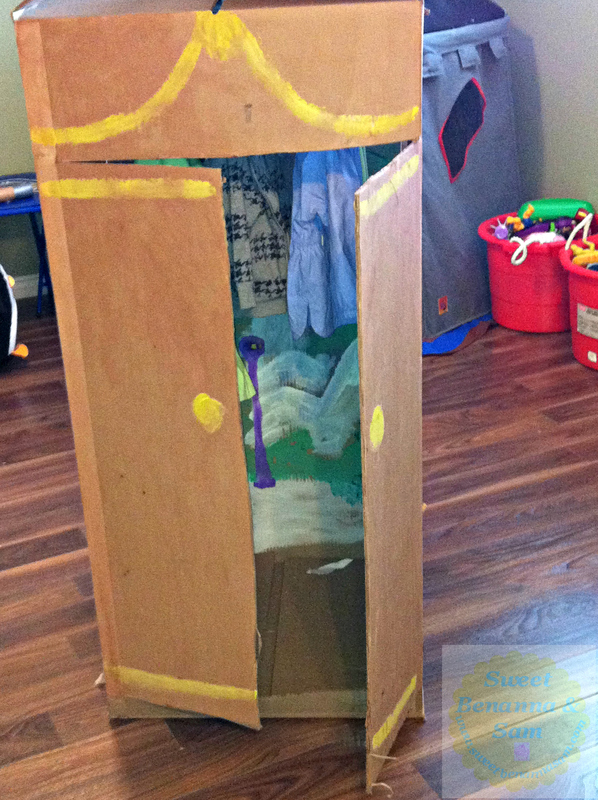 The idea was that the children would climb into the wardrobe and then push the back flap open to step into Narnia. It worked! 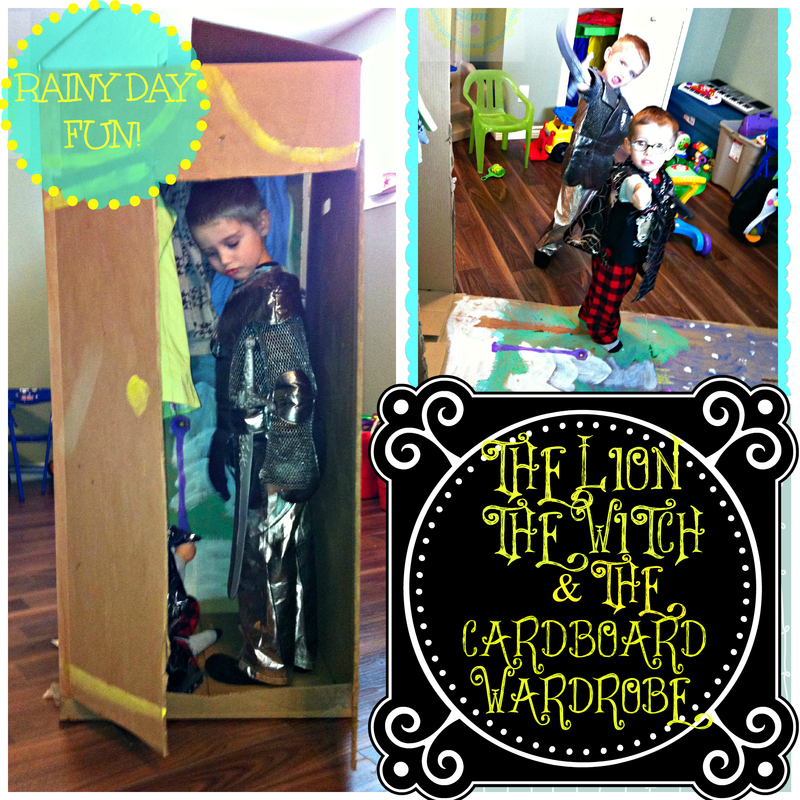 We had a great morning role playing The Lion, The Witch, and the Wardrobe. My four year old was Peter (with the armor) My three year old son was Edmund, My 17 month old daughter was the Lion (whether she knew it or not!) and unfortunately I got to be the witch. 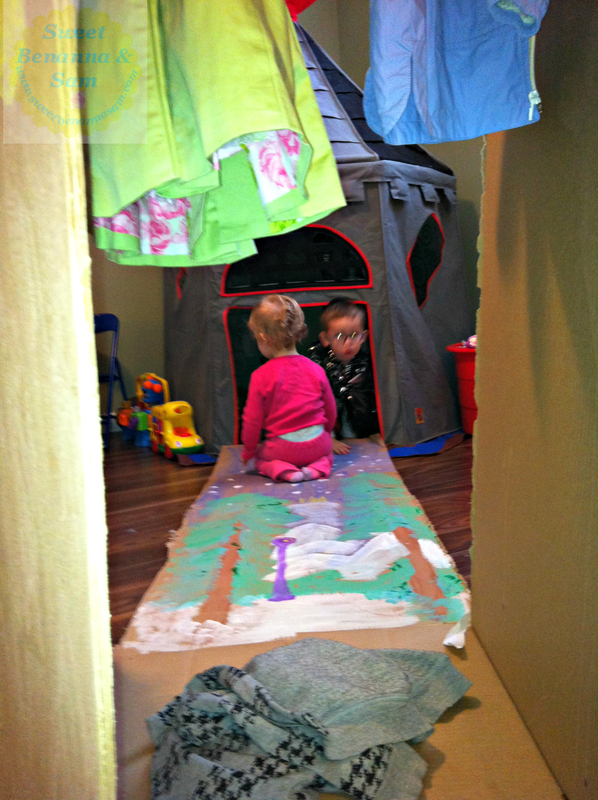 We also had our play castle tent in Narnia, which kind of reminded me of the make shift tents on the Narnia battle field. Lots of fun! I hope you enjoyed this post, thanks for stopping by! 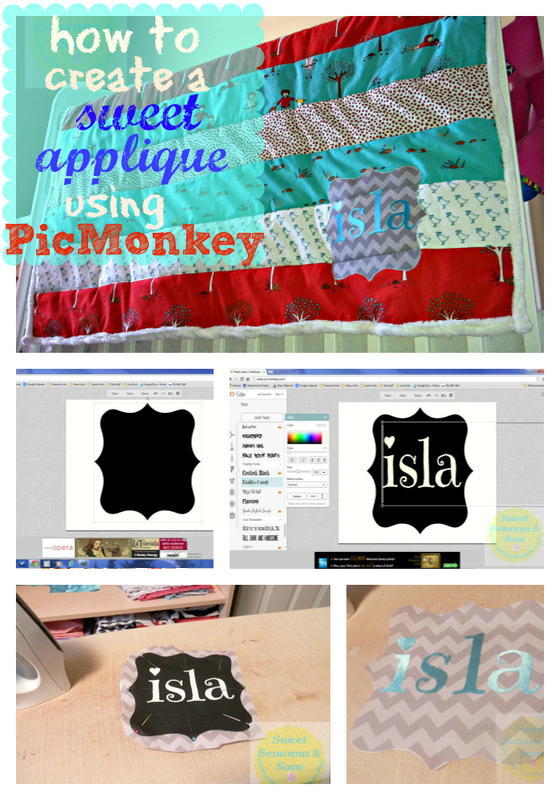 Today I would like to show you how I use PicMonkey to create beautiful appliques for my personalized baby quilts and many other projects! Why use PicMonkey? If you are like me and live in the stone age with no fancy crafting tools like a Silhouette Cameo, this is a great option. PicMonkey has a lot of simple shapes and great fonts and it’s easy to play around with the sizes and get your design exactly the way you want it. 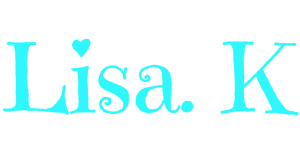 Also I like this method because I can make sure that the letters are the perfect size to fit inside the design. 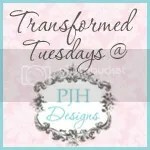 I’m sure there are many ways to create templates or designs for your applique, this is just how I like to do it! What can you use this for? There are so many things you could personalize, blankets, onesies, skirts, shirts, banners, bags or backpacks, framed art, I don’t know, take your pick! Start by going to PicMonkey and click on “Edit A Photo” Choose any photo, it doesn’t matter because we are going to put an overlay right on top of it. 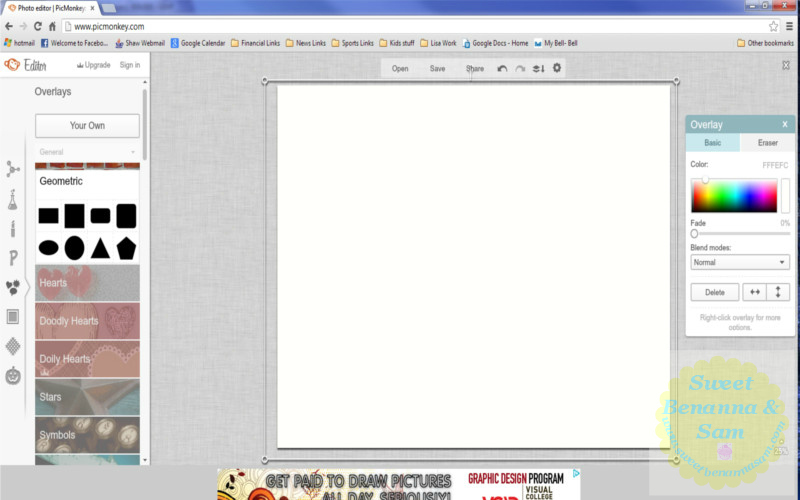 Click on the overlay tab on the left side – it is the button that has the little shapes, fifth from the top. 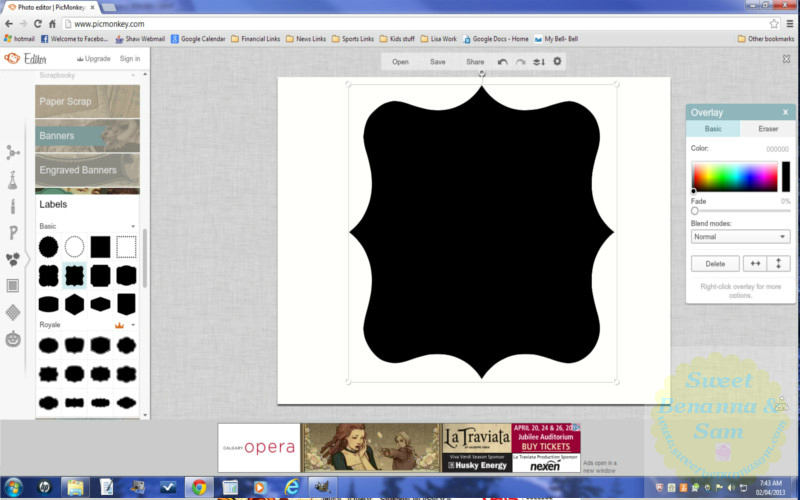 Click on the geometric overlay and select the rectangle, the first one. Expand it to go over top of your picture and click on the white color to turn it into a blank canvas. 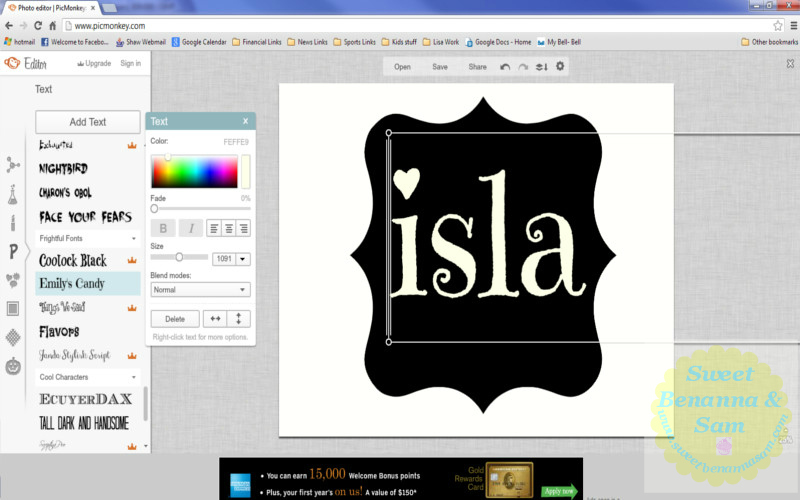 Now you can add a word to your design, or whatever you like to your design. Select the text button on the left side (the “P” button) As I mentioned, I use this particular applique design for a personalized baby quilt that I sell in my Etsy Shop. Expand or turn your word to make it fit exactly the way you like in your design. I would advise against using fonts that are too complicated (probably like the one that I have used) because they are more difficult to cut out. Save your design and print it. 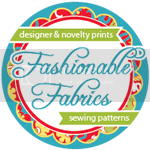 When you print your applique template, you can usually select the size that you want it to print at that time. Take some heat n bond and press it to the back side of a piece of fabric for your main (outer) shape. 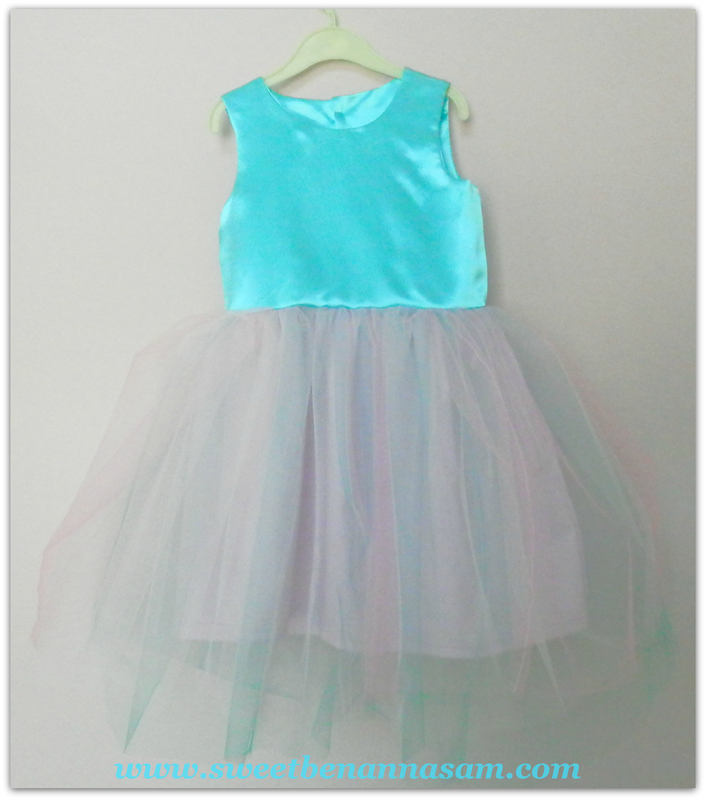 Cut out your outer shape and pin it to the fabric and cut the shape out. Next cut your letters out of the design. Again take the fabric that you are going to use for the letters and apply some heat n bond to the back of it. When you apply the heat n bond first it makes it much easier to cut out your design, it’s more like cutting paper than fabric. This let’s you get more detail and exact cuts. Pin the letters to the fabric and cut out each one. 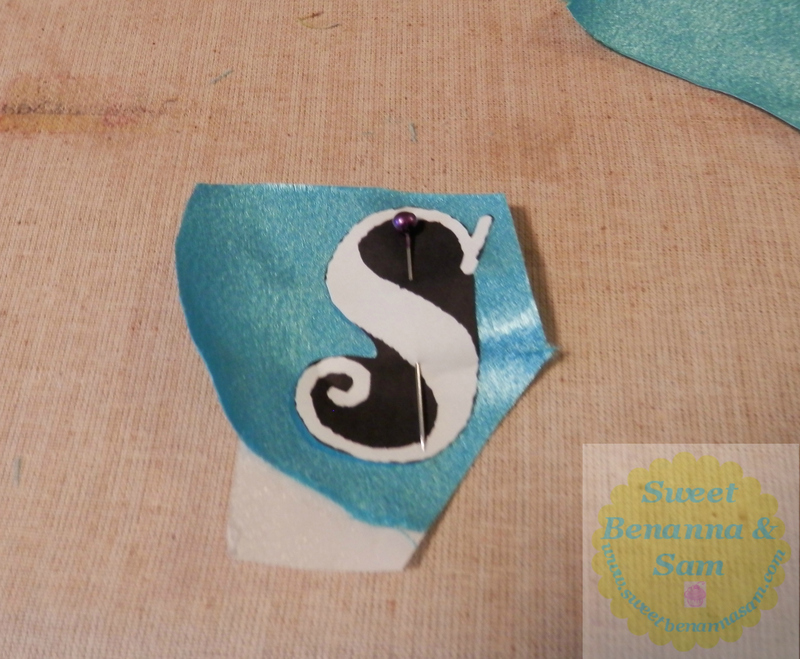 You will notice I cut the paper around the letters, then pinned it to the fabric and cut out the exact design. 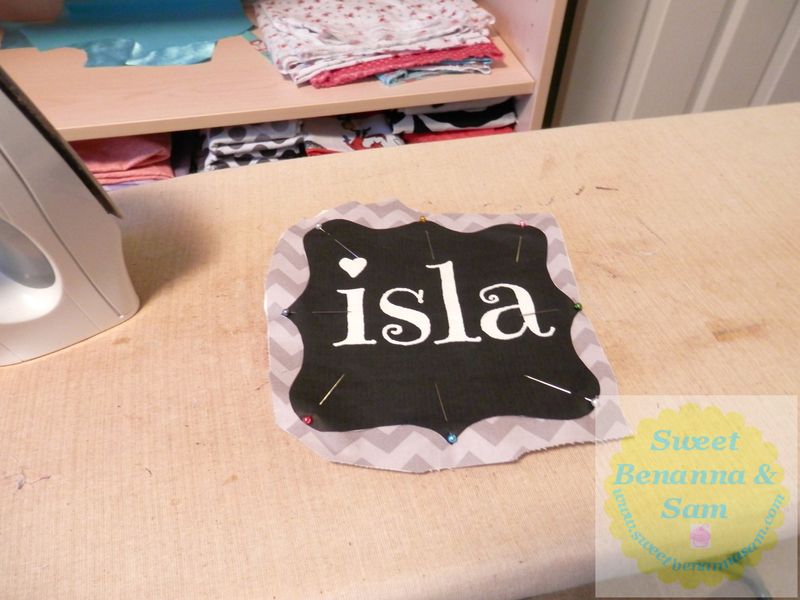 This will give you more space to pin the letter to the fabric. 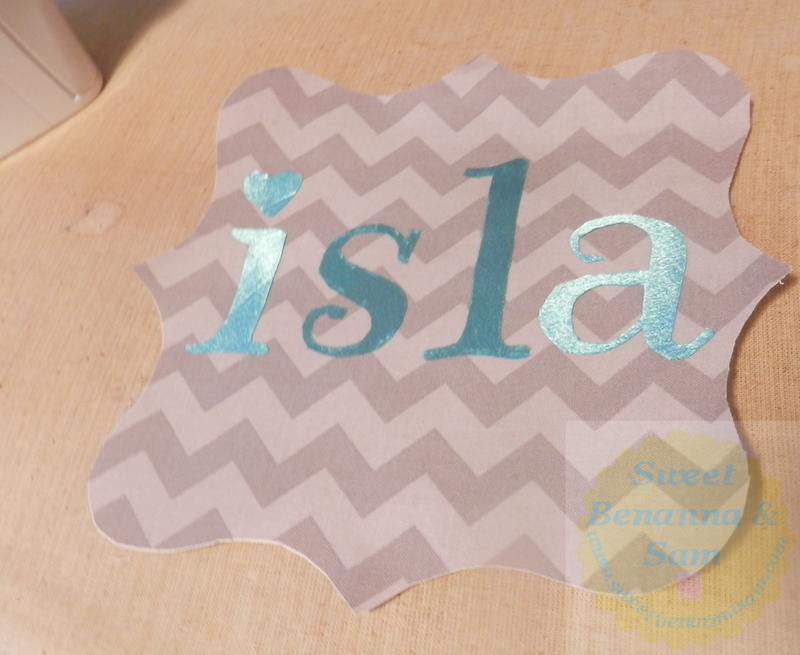 Peel off the backing of the heat n bond and arrange the letters on your main design. Press them in to place when they are exactly where you want them. At this point you would stitch around the lettering with a tight zig-zag stitch. I used a heat n bond ultra for my letters which doesn’t require stitching. 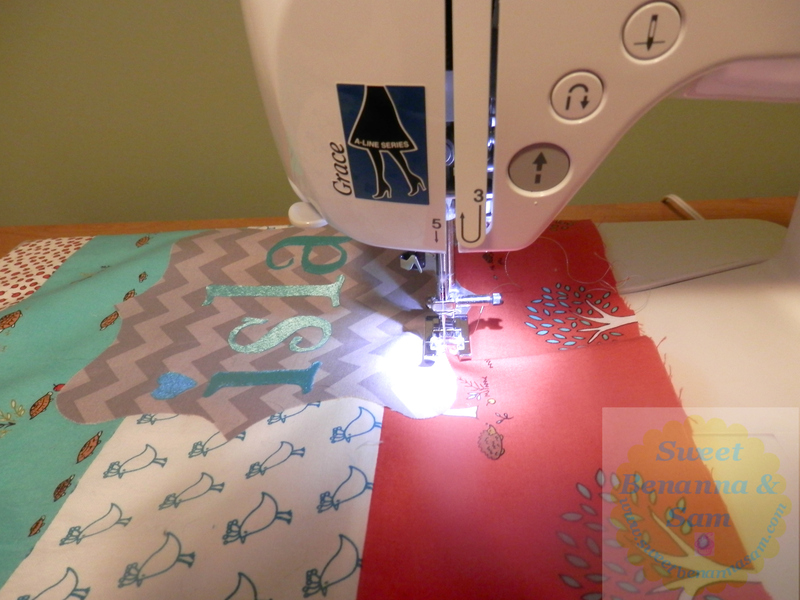 Next peel the backing off of your main applique piece and place it where you would like it to go on your quilt/shirt/onesie – whatever project you are decorating! 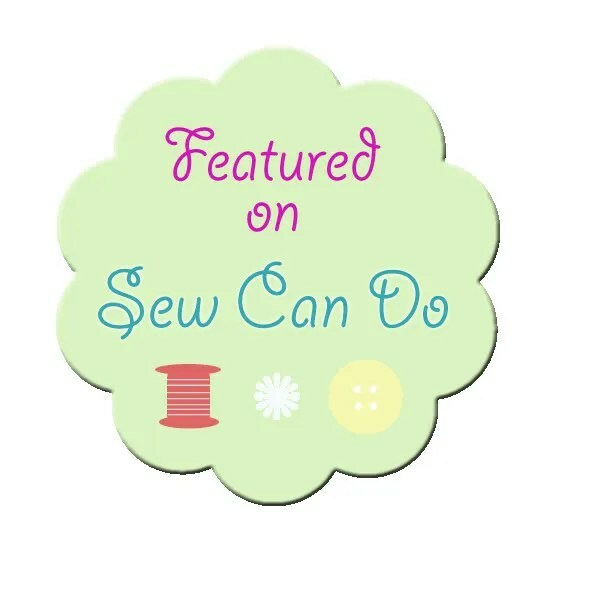 Iron it in to place and use a tight zig zag stitch around the outer edge. I think it looks beautiful! What a great way to personalize your project. Here is a design that I am working on for another project, it is quite a bit more complicated. I will let you know how it turns out! Thank you for stopping by, I hope you have enjoyed this little tutorial! Our good friends came along on the recent Disney Cruise that we took in February (Click here for: Disney Cruise Review). Their family actually did a week at Disney World first. I have to say that my friend, Jackie, did an amazing job at getting the kids prepped and excited for their trip! She has graciously allowed me to share all of the wonderful activities that she did with her family. 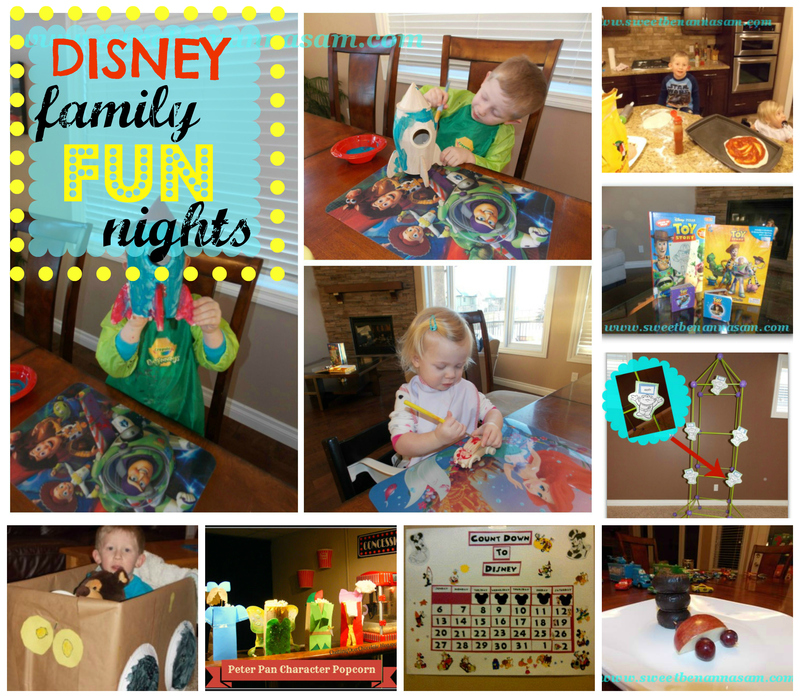 Even if you are not going on a Disney vacation, these ideas make for a wonderfully fun and wholesome family night (or entire day!). Plus, most of these activities are very educational and a great learning opportunity! In preparation for our family’s Disney trip we decided to do a Disney countdown. We created a poster using poster paper picked up from Michaels craft store. My son, who is 4 years old, was learning numbers and the calendar in school, so I decided to combine what he was learning in school to create our countdown. We cut out numbers that I printed, using word and placed them in order on some construction paper. He had to show me the order the of the numbers and the days of the week. We then decided to decorate the calendar using some stickers we had at home (Disney inspired of course). My son also cut out a Minnie and Mickey Mouse character from one of his coloring books to help with his scissor skills. We had lots of fun making it. To start the countdown, I cut out a circle for the head, and 2 circles for the ears using scrap book circle cutter. 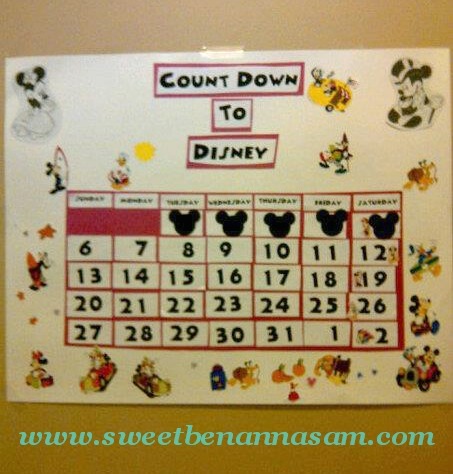 My son glued them together to make the Mickey Mouse countdown. Although…he got tired so I ended up finishing them. Every morning for about 30 days leading up to our vacation, we placed a Mickey Mouse on the day of the week it was. We practised reviewing the days of the week and the numbers of the month. We decided that every Saturday would be a special Disney theme night. So every Saturday had a special sticker on it, to note that it was Disney theme night. I picked a Disney movie to be our theme and would do something special Disney. We had a lot of fun. Every Saturday, leading up to our Disneyworld vacation, we decided to do a Disney theme night, more like a theme day. We would combine books, craft, game, movie and snacks all related to the movie I chose. Here is an example of one of our days. Good Morning- when my kids woke up from bed, I had the books that we would read for the day out on the coffee table. I also gathered the toy story toys we had at home and had them sitting on the table waiting for them to eat breakfast. They loved waking up on Saturday to find out what kind of day we were going to have. 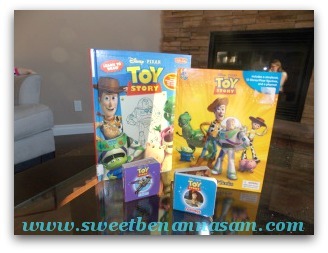 Books – I gathered any toy story books that I had at home or from the library which we read during the day and again at bedtime. My daughter who is 1 really loves to read books. Craft – I purchased a birdhouse shaped like a rocket from Michaels, and my son painted it. My daughter loves to paint too , so she painted a little car. (1) Buzz Lightyear Blast off – we made a buzz lightyear calendar with aliens that we cut out from images googled from the internet. My husband made a rocket from one of the games we owned called Krazy forts. We placed the aliens on the rocket. To play the game, I used a lazer pointer to point at the numbers. My son had to call out the numbers and when he heard, 3,2,1.. he had to yell blastoff. He was then able to jump and save one of the aliens from the rocket. 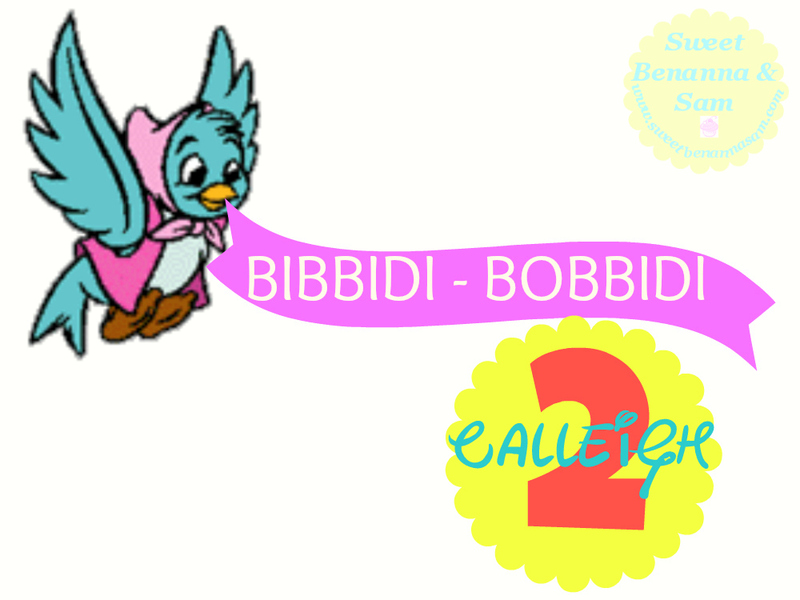 To save him, he had to read the sight word glued to the alien to protect him. We had lots of fun playing the game. 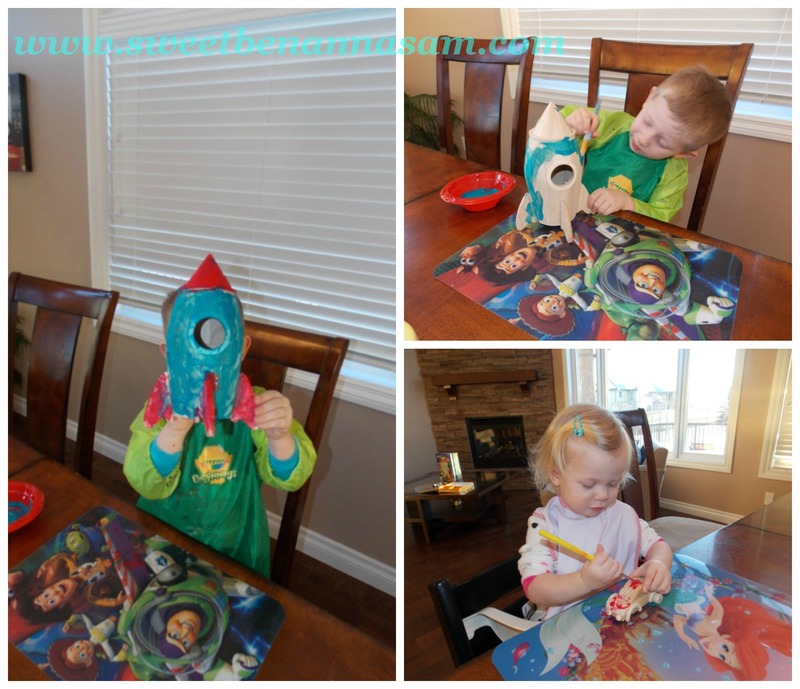 (2) Hide the Alien – With this game, I used paper cups I had at the house and a toy story figurine from one of the books we had. I glued site words that my son was working on in school. I would hide the alien under one of the cups and mix them around. To find the alien my son had to read the word to lift the cup up. If he read the cup correctly, he got to check what was underneath. Good Morning- when my kids woke up from bed, I had the books that we would read for the day out on the coffee table. 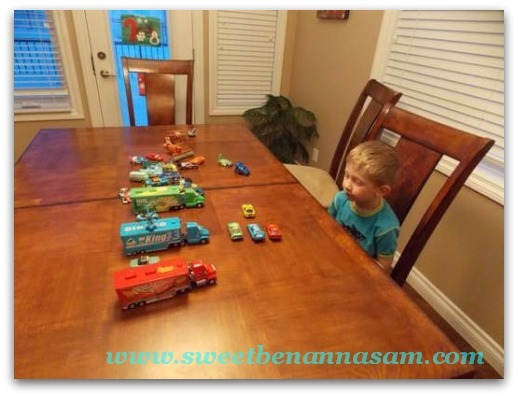 I also gathered the all of the cars die cast toys we had at home and had them sitting on the table waiting for them to eat breakfast. They loved waking up to them all set out on the table. They played with them for hours. 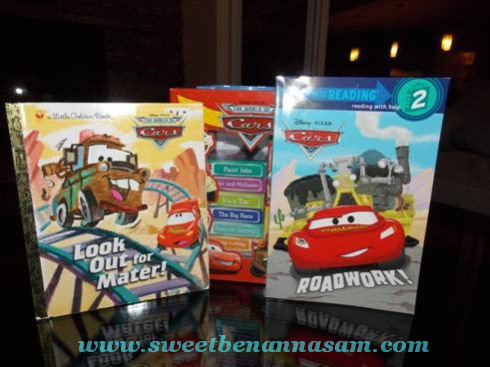 Books – I gathered any cars books that I had at home or from the library which we read during the day and again at bedtime. 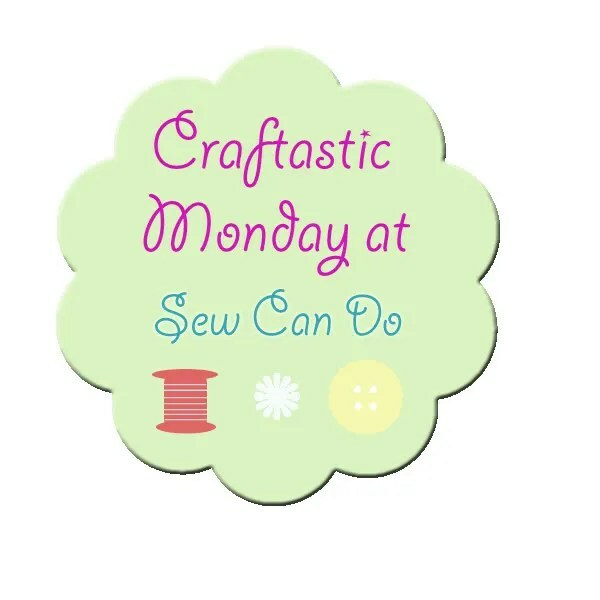 Craft – today’s craft was a really fun one. We decided to make and decorate cars for our drive in movie. 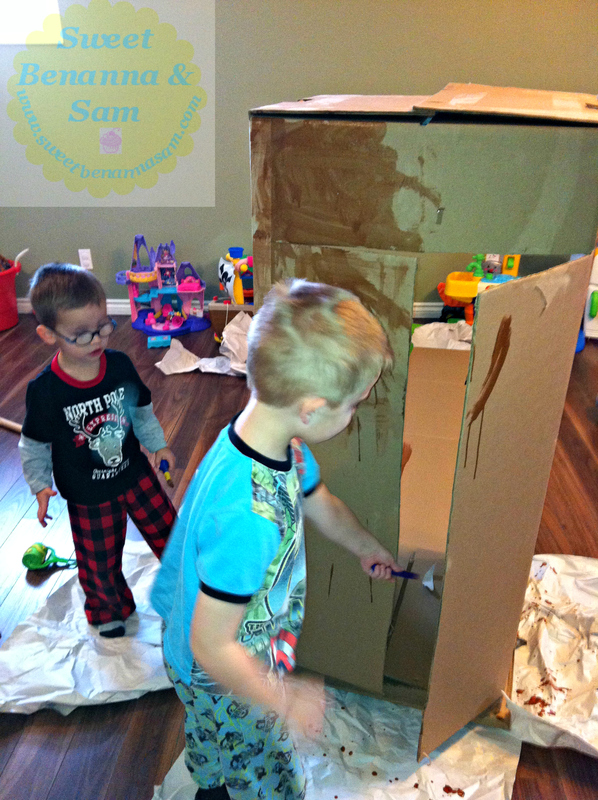 We used cardboard boxes that we had at home. I took parcel paper and covered one box as it had a lot of writing on it (although it looked bulky as I did not tape it well). The other box I left and just decorated the box directly. My son painted the wheels made from left over paper plates I had at home. We also used a plate for his steering wheel. My daughter colored hers with markers. I used paper fasteners to fasten them to the box so they spun around. We also used construction paper for decorations and headlights. The kids then sat in their cars to watch the Cars movie. When the racing scenes were on, my son would drive his car like he was racing, so cute. My daughter, is too young to watch movies, but loved to sit and race her car. Snacks – cars and tires from Casa Della Tire shop. 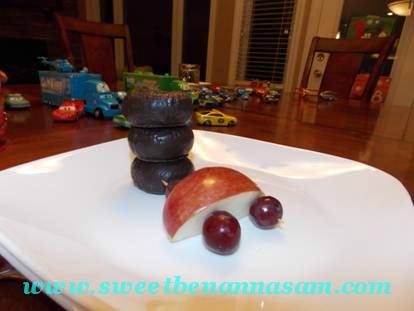 I used apple slices for the cars and grapes for the tires held together with toothpicks. I bought some mini chocolate donuts from the local grocery store to make the stack of tires. My kids thought having a tall stack of tires was so cool, a bit too much sugar – so I had to take the stack away from them because they wanted to eat them all…ha ha. Well, didn’t she do an amazing job with her Disney Theme nights? I love all of these great ideas, they really are fun for the children and promote awesome family togetherness! 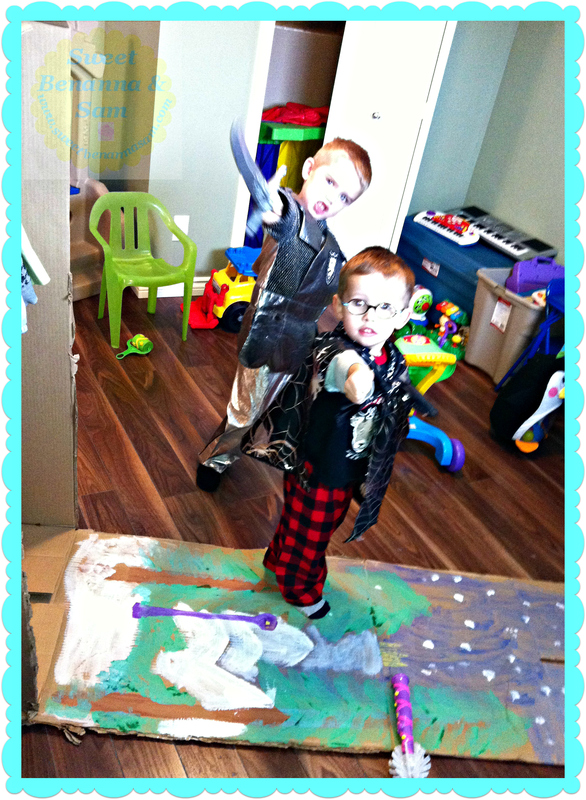 I recently came across this post from another blogger who did a Peter Pan Family Movie Party. She gave permission for me to share the link to her post – I just love those sweet Peter Pan decorated popcorn bags! Brenda from Chatting Over Chocolate actually has tons of wonderful Disney themed ideas for your family, so make sure you have a good look around her blog! I hope you have enjoyed this post, let me know if you try any of these activities with your family! Thanks again for stopping by. We finally got around to making some Easter decorations! Here is a picture of our decorated mantle. Yes my Benjamin had to get in the picture. When he gets that gleam in his eye there is no stopping him, he loves to be in pictures. But who can really complain when he is completely adorable? Anyways, we did make a few things which I wanted to share with you. There are some eggs, some bunnies, and some Jesus = perfect Easter combination. 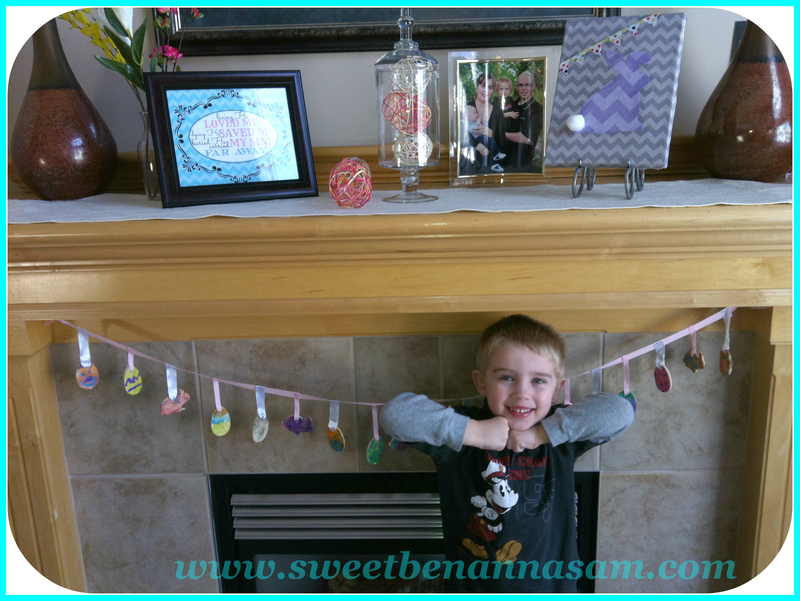 Yarn Easter Eggs: Ben and I had so much fun making these! 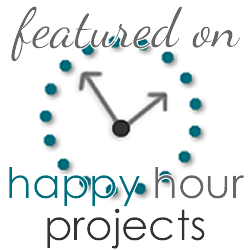 We found a great tutorial on one of my favorite blogs, Happy Hour Projects. It was pretty messy, but Ben loved all of the glue and goop, plus we got to spend some quality time together while the little brother and sister were napping. We used multi-colored yarn instead of one color per egg. Mine were a little more uniform than Ben’s, I think they turned out quite well! 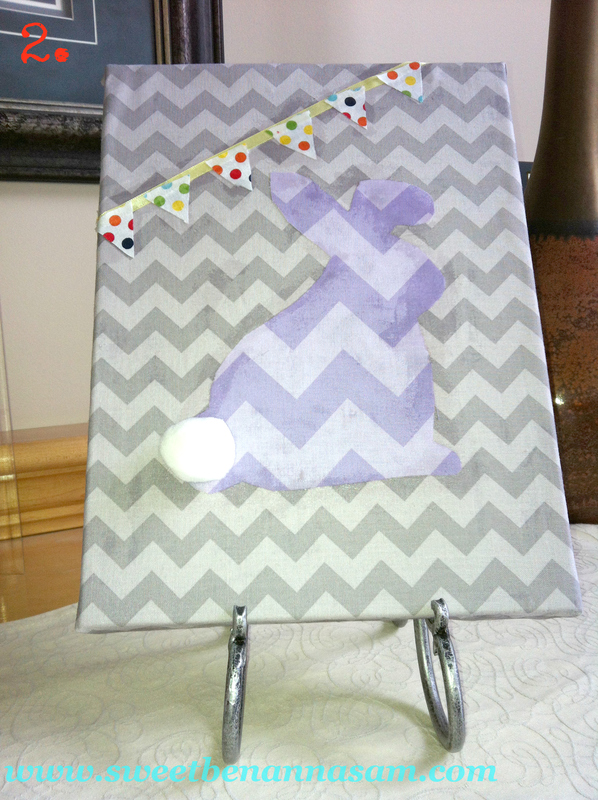 Chevron Bunny: We made a little bunny decoration too. I’m not sure exactly how I feel about him though, I think maybe the background was a bit too busy… First we mod-podged some grey tonal chevron fabric to a dollar store canvas. 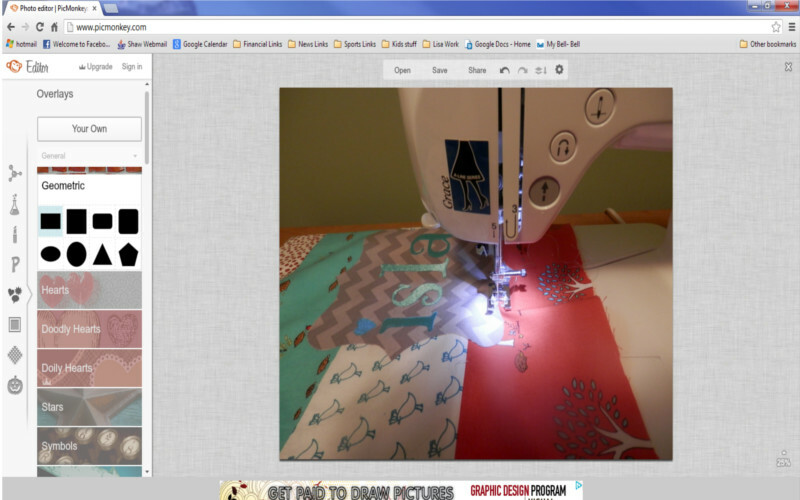 Next we cut out the bunny shape from some medium grape chevron and glued it on with Mod Podge. We added a pom pom to the tail for some texture and 3D effect. Have I mentioned that my 3 year old, Sam, has a deep love for pom poms? This was mostly for him. Then I decided that bunny was too plain and added some ribbons and little triangles of rainbow cotton dots to make a little banner. 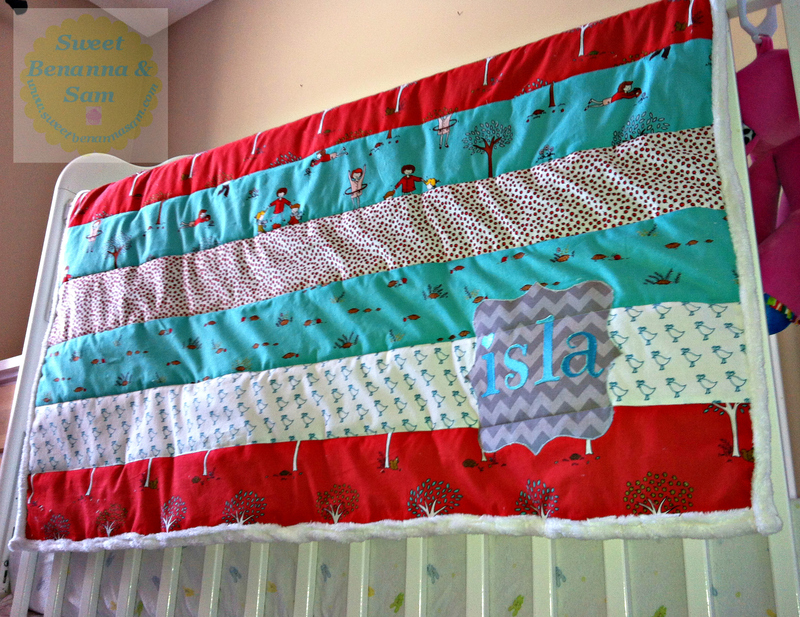 All of the fabric is from Riley Blake Designs. 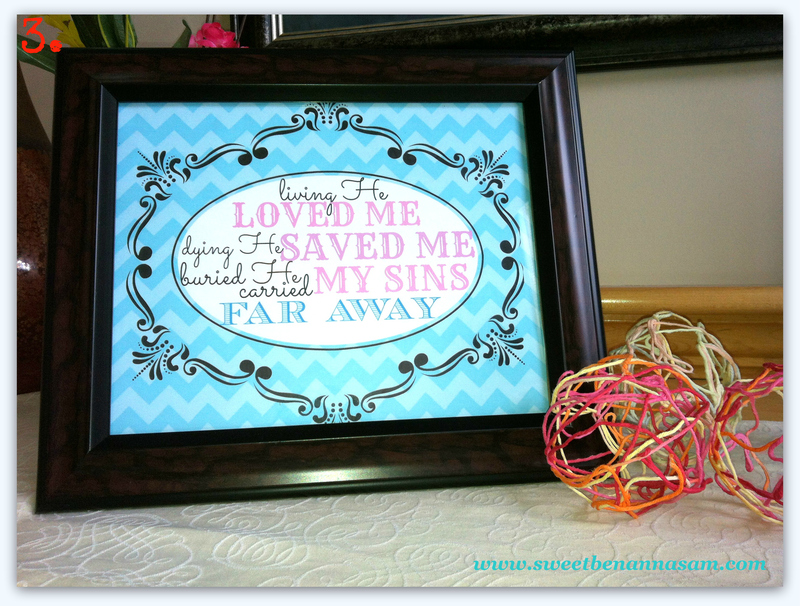 Free Printable Casting Crown Lyrics: I made this printable and it is my favorite part of the mantle decorations! You can print it, trim off the white border, and it fits inside of an 8×10 frame. 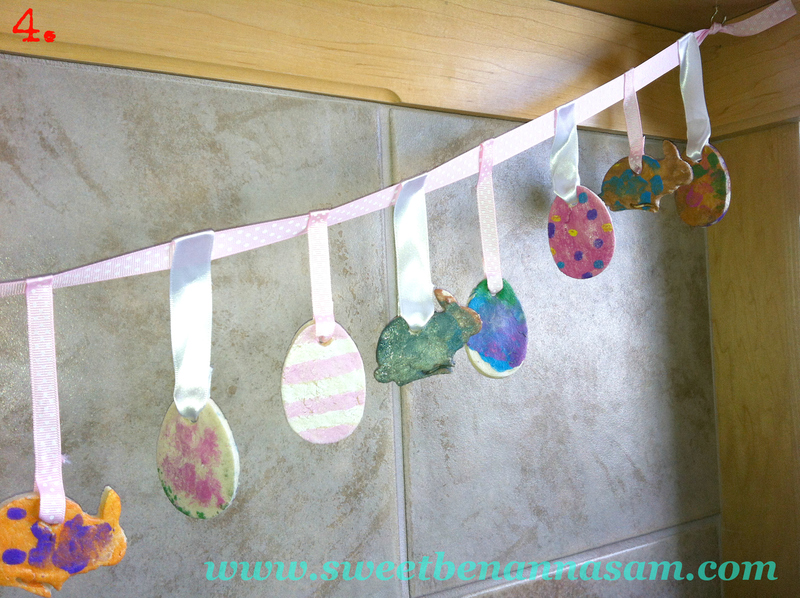 Salt Dough Easter Egg & Bunny garland: We actually made this last year. 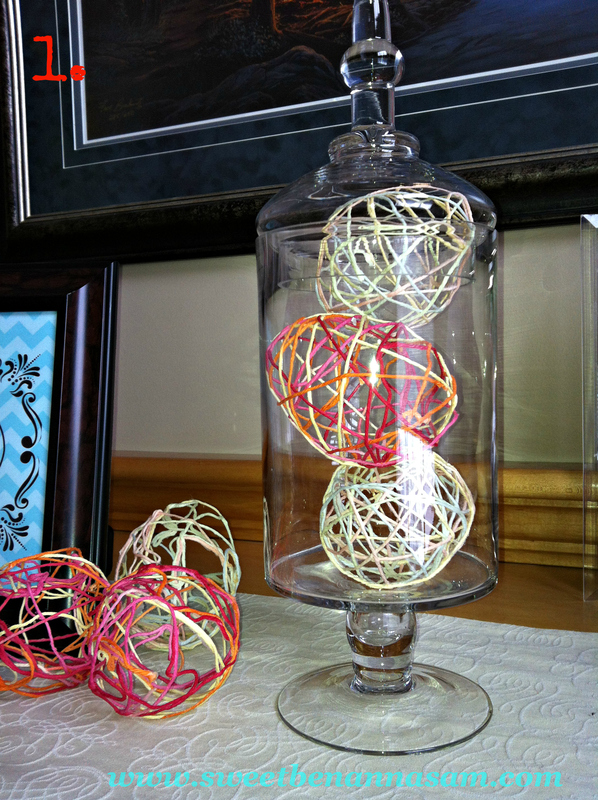 We found the idea on Pinterest, the original recipe and tutorial is from Desperate Craftwives: Salt Dough Easter Egg Garland. I decided to add some bunnies to ours as well, my children had a blast making this, they love painting projects. I hope you have enjoyed this post, thanks for stopping by!